Will the future be one of economic expansion, greater tolerance, liberating inventions, and longer, happier lives? Or do we face economic stagnation, declining quality of life, and a technologically enhanced totalitarianism worse than any yet seen? The Fabulous Future? 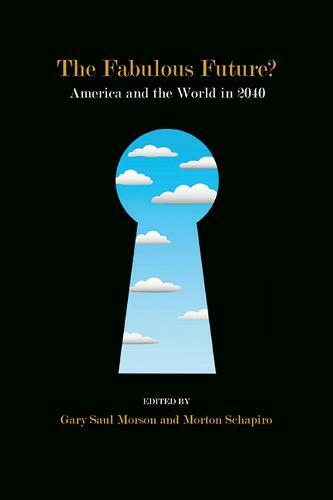 America and the World in 2040 draws its inspiration from a more optimistic time, and tome, The Fabulous Future: America in 1980, in which Fortune magazine celebrated its twenty-fifth anniversary by publishing the predictions of thought leaders of its time. In the present volume, the world's leading specialists from diverse fields project developments in their areas of expertise, from religion and the media to the environment and nanotechnology. Will we be happier, and what exactly does happiness have to do with our economic future? Where is higher education heading and how should it develop? And what is the future of prediction itself? These exciting essays provoke sharper questions, reflect unexpectedly on one another, and testify to our present anxieties about the surprising world to come.